I’ve been wondering for a long time why podcasts are all the rage. I know so many people who love podcasts and listen to them in the car, when they go to bed at night, while they’re working or cooking dinner. I love to listen to music and enjoy an audio book now and then, but I haven’t been able to get into even one podcast. 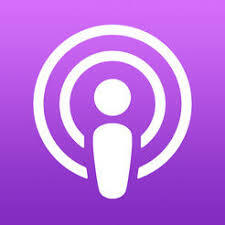 I thought I’d jump on my blog and ask if any of you like podcasts, and why? The ones I’ve tried are the highly rated ones: S-Town, This American Life, Invisibilia, and Stuff You Should Know. To be fair, I’ve only listened to one episode of each one and found them pretty uninteresting, and I was scratching my head in puzzlement. Do I need to just keep going to understand the appeal? I have experienced this with various television series before (for example, Doc Martin, which took quite a while to understand but now I wouldn’t miss it), so maybe someone needs to tell me to keep at it. What are your favorite podcasts? Did you have to keep listening to be interested? Am I just old now, and completely and permanently disconnected from modern culture? I would love to read everyone’s opinions on this. And I hope it’s warmer where you are than it is where I am.